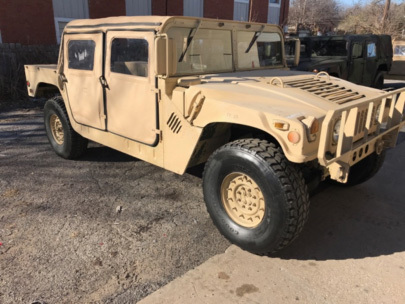 Operation Once in a Lifetime is ramping up for our 6th Annual Rock for the Troops charity event where we will be raffling off a real military M998 Humvee. Raffle tickets can be purchased online for $20 each or 6 for $100 at www.rockforthetroops.com. 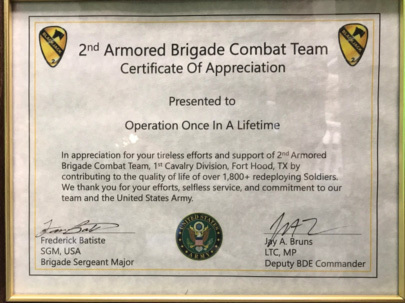 Operation Once in a Lifetime helps support 1,800 Soldiers coming back from overseas!! Cheers to a new year! As always, we are beyond grateful for your unfailing support and love for our service men and women. Here are a just a few quick snapshots of what’s been happening at OOIAL. 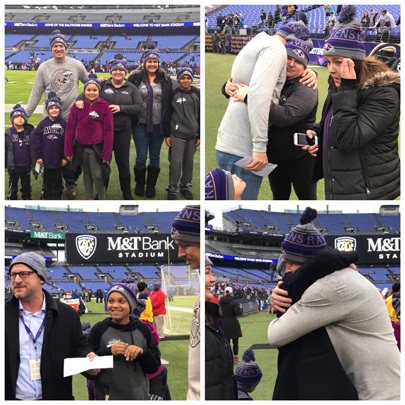 OOIAL teamed up with the Baltimore Ravens to surprise a Military Veteran family who adopted their niece and nephew after their mom passed away. 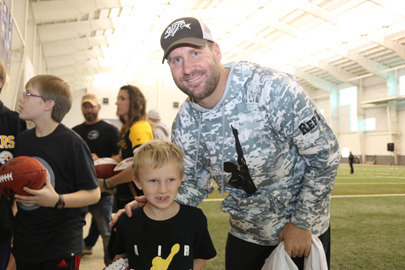 This surprise included sideline passes and great seats to their favorite team and a life change grant for the holidays. 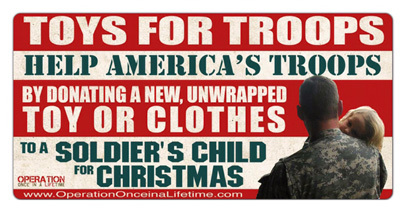 It’s that time of the year again when we collect toys for our troops. 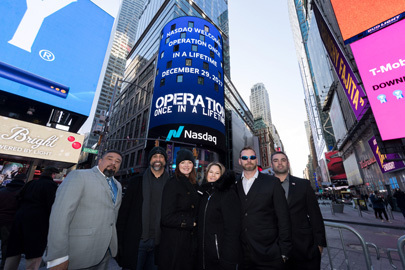 For a list of drop off locations, please e-mail us at: staff@operationonceinalifetime.com. As always, thank you for your support!